Novel by V J James. ‘Anticlock’ has illustrations by Sudheesh Kottembr..
Collection of stories by V J James. ‘Kathakal V J James’ has stories i.. Novel by notable writer V J James. 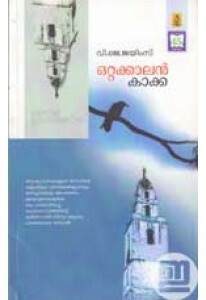 BLURB: സാധാരണ പരിസരങ്ങളിൽ നി..
Collection of stories by V J James. Pranayopanishath has 9 stories ..